Best Air Conditioning & Heating Service Dahlgren, VA | Robert B. Payne, Inc. When it comes to heating and air conditioning service in Dahlgren, VA, you always want the best. Robert B. Payne, Inc. has worked tirelessly to position itself as the best, most affordable service in the area. We work with both residential and commercial clients who want results. That is what we provide; results! It all comes down to quality. 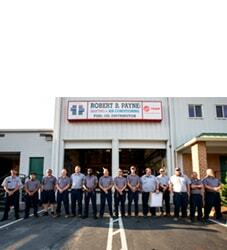 At Robert B. Payne, Inc. we are committed to quality services. Your HVAC needs may change, but the level of service you receive from our team never does. That is why we are the full-service HVAC shop, where we offer installation, maintenance, repairs, and troubleshooting with just one phone call! We cannot recommend professional installation and replacement enough. 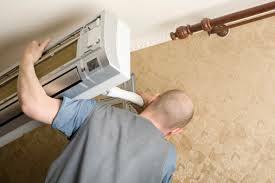 Too many homeowners want to cut corners and install a new air conditioning system by themselves. In doing so, many ultimately face problems with their system. DIY work often leads to costly repairs and troubling energy efficiency issues, which Robert B. Payne, Inc. can avoid altogether! HVAC maintenance is crucial when it comes to avoiding costly repairs. 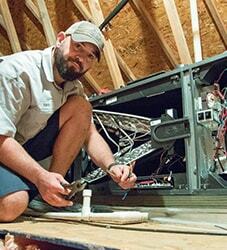 Over time, your system may run a bit slower or fail to cool the entire home or office. Maintenance will discover what is wrong and resolve the problem then and there. Whether due to age or an internal problem, HVAC repairs will solve your troubles. Our technicians know what to look for and are all equipped with the right tools and parts for your needs. Trust in professional repairs for a better, healthier system overall! 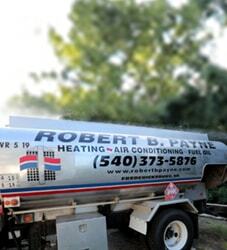 Schedule HVAC installation, repairs, and maintenance in Dahlgren, VA, with Robert B. Payne, Inc. Call our offices now at (540) 373-5876! We serve entire Dahlgren, VA 22485.